Lake Oswego resident Pierre Ouellette can claim several job titles during his long career. He has been a professional guitarist, owner and creative director at a public relations agency, video producer and published author. Now, he draws upon all of those experiences when writing. 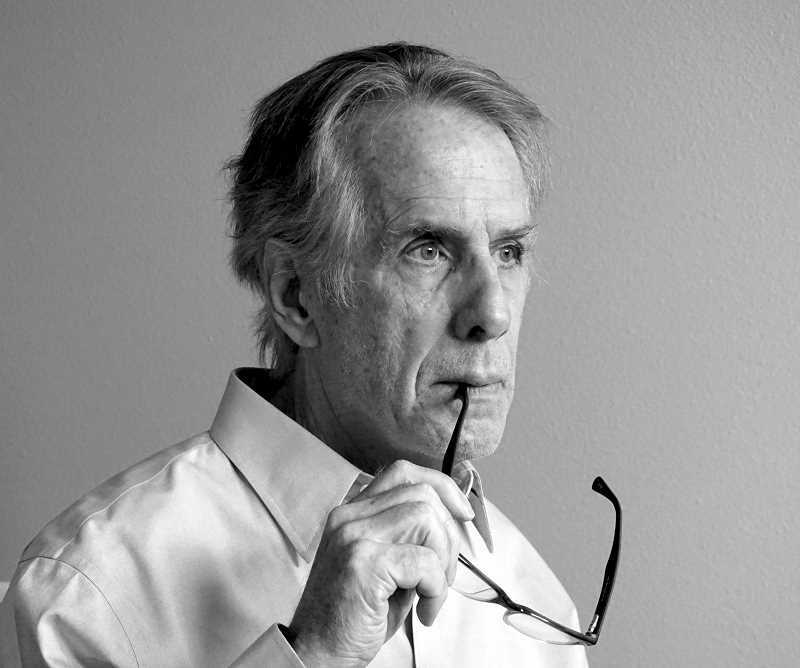 And on Oct. 15, he will release his sixth novel, "Bakersfield." Ouellette's first job was as a professional guitarist. In the mid-1960s, he put himself through college as a member of the popular Portland garage rock band Don and the Good Times. They played with Paul Revere and the Raiders and The Kingsmen, Jim Pepper and David Friesen. Ouelette recalls that Don and the Good Times had been booked to play at an advertising agency's company picnic in Washington Park — a fluke that got his foot in the door of the advertising world when he was challenged by one of the executives to "get a real job" and invited to come to the agency the next day. "I decided to go and was given a task and then left alone the whole day," Ouellette said. He evidently completed the task in a satisfactory fashion, because he was hired to do contract writing for the firm. "So I wrote during the day and played music at night," Ouellette said. An early assignment was to write for Tektronix when microprocessing and microcomputers were just being introduced, which Ouellette found fascinating. That led to the founding of KVO, a Portland-based advertising and public relations firm focused on science and technology. He served as creative director for two decades before the agency was sold in 2000. "I still had the band, too," Ouellette said. After he sold the business, he turned to writing full-time. His first two books were science fiction thrillers ("The Deus Machine" and "The Third Pandemic). Under the name Pierre Davis, he published "A Breed Apart" in 2009 and "Origin Unknown" in 2011. Next came "The Forever Man" in 2014, published under Pierre Ouellette. "Bakersfield," his sixth novel, drops on Oct. 15. 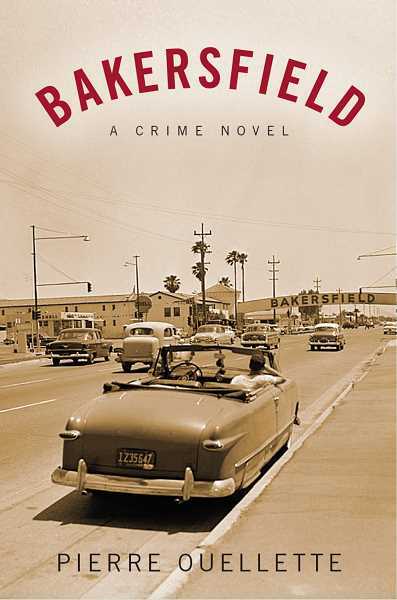 It's a gritty story of crime and corruption set in the 1950s in the Southern California community. In writing the book, Ouellette called upon his experiences as a professional musician and time spent in Bakersfield researching the era. He said it took about a year and a half to complete the research. "Bakersfield was the first city to have this new style of electrified country music in its bars," Ouellette said. Known as Bakersfield Sound, it is featured as the soundtrack to the novel. The book follows James Stone, a career cop in Los Angeles until an LAPD scandal costs him his job, his wife and his home. Exiled in Bakersfield working homicide, he has to make a last stand in a mean little town dominated by agribusiness and oil. His first case is a dead young girl found floating in the Kern River. This puts him in touch with Christine Harmon, the county's forensic pathologist and a trailblazing woman doctor. Stone's investigation takes him deep into the local honky-tonk scene, where young players like Buck Owens and Merle Haggard are just getting their start. Then a second homicide occurs. A wealthy businessman is found murdered in his home. With the aid of Harmon, Stone follows a trail of depravity and corruption that reaches into the highest levels of the local business and legal communities. And once again Stone finds himself caught up in a scandal that threatens to ruin him — and maybe even kill him. The book will be available online at Amazon.com and sell for $19.95.